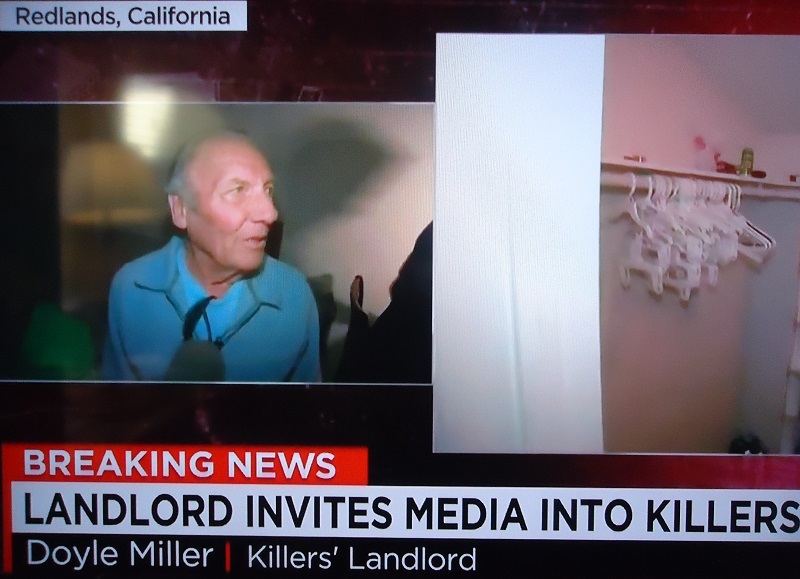 Today saw another new low-point in American broadcast journalism, as members of the media and public ransacked the shooting suspects family home in Redlands, California. On closer examination, however, what is on display here has very little to do with journalism, and everything to do with staged ‘synthetic terror’. It appears that both mainstream media and law enforcement are becoming increasingly desperate to sell an ever-more embellished and fantastic story line surrounding this latest alleged ‘Mass Shooting’ event that we’re told took place on Wednesday in San Bernardino, California. Earlier, CNN’s official “terrorism analyst”, Paul Cruickshank, stated that San Bernardino’s staged event was, “the deadliest Islamist terrorism attack on US soil since 9/11”. If that was true, then any venues or sites related to this investigation would still be secured by law enforcement – and yet, less than 48 hours after what we’re told was a ‘mass shooting’ and ‘international terrorism’ event – members of the mainstream media and unidentified members of the public were let loose completely unsupervised, inside what authorities are claiming to be “the killers’ home” located in Redlands, California. ‘PRESS GANG’: Media and public barge into the family home of alleged shooters. This gives a new meaning to the term “press gang”. The media frenzy at the family’s Redlands home can only be described as a disturbing spectacle broadcast LIVE this morning over ten different major networks. Then things began to get even more ridiculous. CNN’s reporter Victor Blackwell began today’s news segment joined by a large group of at least 150 persons, including 30-40 unidentified people filming on their cell phones which CNN claimed were “members of the victims’ families”, as well as at least 75-100 media personnel and cameramen, all of whom followed behind the property’s landlord, Doyel Miller, who appears to have given an unsupervised, guided tour to the media and unidentified members of the public. Blackwell even admitted that locals from the neighborhood and their dogs could also be seen wandering through the property. Although CNN and others appear to have gone to great lengths to portray this bizarre news event as authentic, it’s quite clear the FBI or police had left their classified investigation documents and various items as staged, props for the media. It is not yet clear whether or not members of the media had paid a sum of money to Miller for access to the property. In what authorities have claimed is a crime scene and “federal investigation related to terrorism”, the alleged home of the shooters has no police tape and has already been opened to random members of the public and the media – who could be seen rummaging through the alleged shooters belongings with no police or federal agents to supervise what can only be described as a free for all. MEDIA AGIT-PROP: CNN’s Anderson Cooper conducted today’s desperate media play, designed to shore-up the media’s latest “ISIS-inspired” narrative for this week’s ‘mass shooting’ staged event. So Elam had access and tampered with the entire crime scene. If it were a real federal crime scene, then this would be a violation of numerous state and federal laws, including a violation of the family’s rights to privacy. In addition, under California state law, all media members and public present are in violation of breaking and entering, vandalism, and theft as well in the event that any personal items were removed from the scene. The fact that no one has been arrested or charged is proof that this is not a real federal crime at all. MEDIA VANDALISM OR STAGED ‘PRESS’ EVENT? 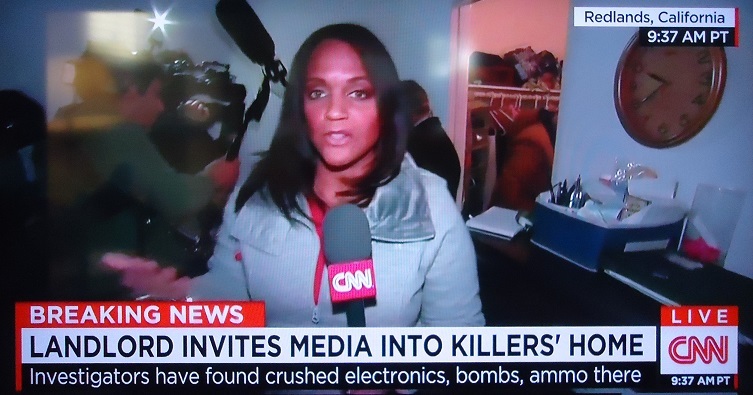 Less than 48 hours after ‘the biggest attack since 9/11’, CNN’s Stephanie Elam leads a mob of media and public in ransacking the alleged family home of dead suspect Syed Farook. 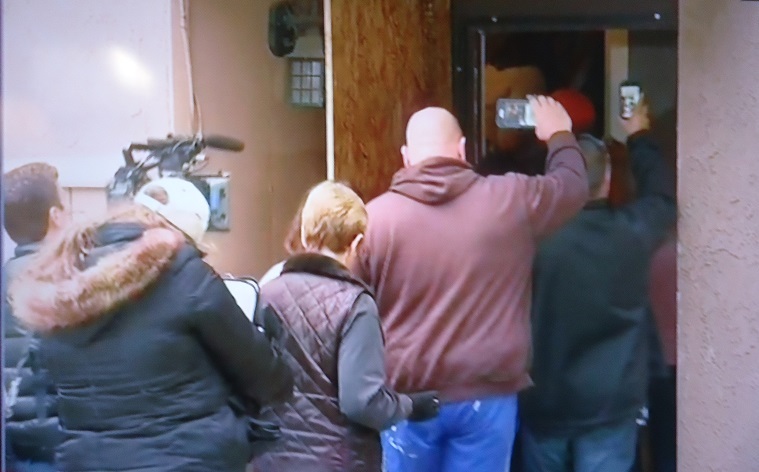 CNN’s Stephanie Elam then starts picking up and throwing the family’s personal religious items. “When I first walked in this group of prayer beads was sitting on the edge of the bed, Several prayer books that were all around, some business cards, receipts for store purchases, lotions and creams…”. 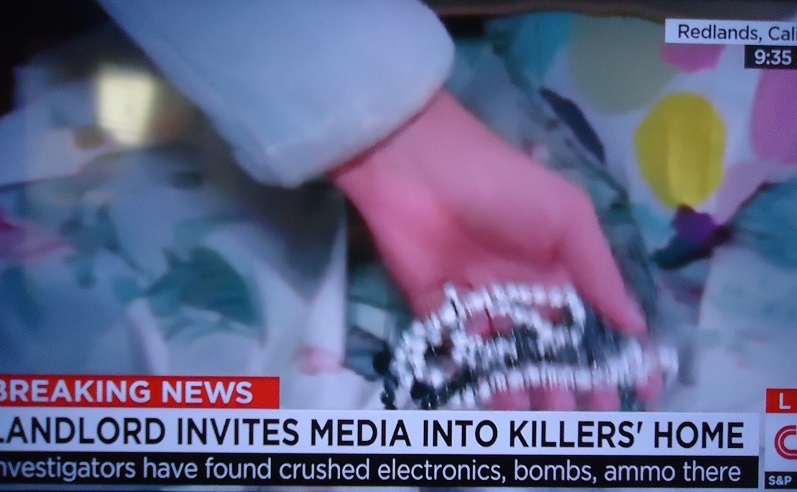 CNN’s Elam then picks up a set of prayer beads for the camera, before carelessly tossing religious items aside onto the bed below, and moving on to ransack the house along with the other members of the “press”. She clearly states that, “these items belong to the shooters’ parents” – as she and others carelessly rifle through the family’s personal belongings. 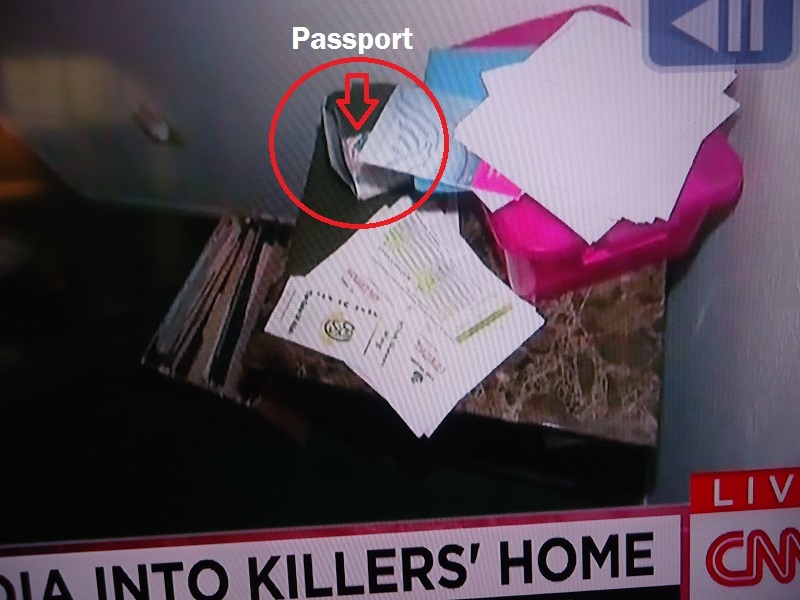 Under the remote direction of Cooper, CNN’s on site cameraman then moves in for a close shot at a desk with a number of documents neatly arranged – including a passport, presumably belonging to family member of the alleged shooters. STAGED: Passports were neatly on display for the media camera, in what appears to be staging of the supposed ‘crime scene’. 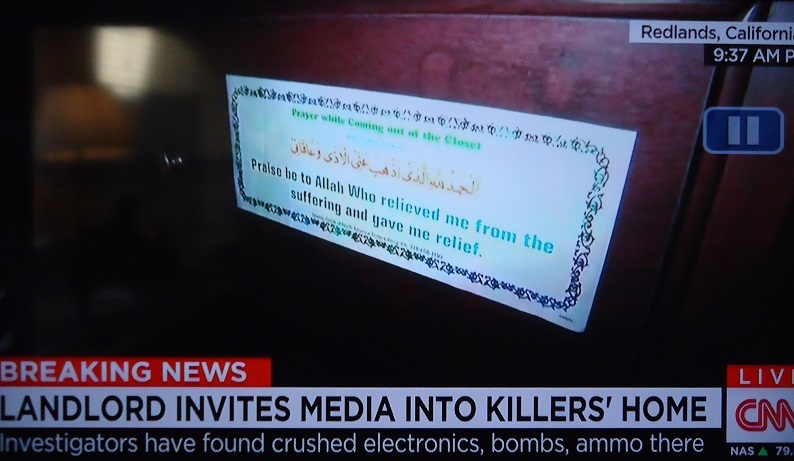 FRAMING THE STORY: CNN’s Elam claims as, “clear evidence of religious faith”. CNN’s law enforcement analyst Harry Houck then came on camera with Cooper to display some outrage, seemingly bedazzled and upset over, ‘how the FBI have allowed dozens of people to destroy the crime scene’. What Houck and other media operatives are not asking is the real question here: if this were a real federal investigation and crime scene then, obviously there would be police tape, and the property would be supervised as it is less than 48 hours after such a high-profile ‘mass shooting’. Clearly, this is not a real crime scene – and by extension – we can conclude now that this entire event was likely to be a staged one. PLANTED PROP: Mystery photos: viewers are meant to think these photos belong to Tafsheen Malik, but “cannot be confirmed”. MYSTERY WOMAN OR FBI HANDLER? 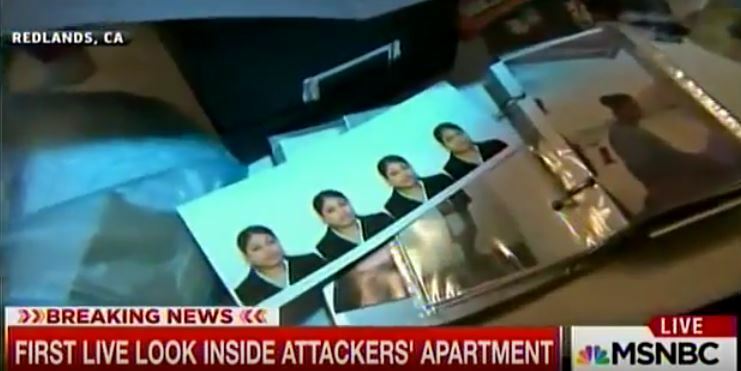 The FBI and media have intentionally hidden the identity of the female suspect. 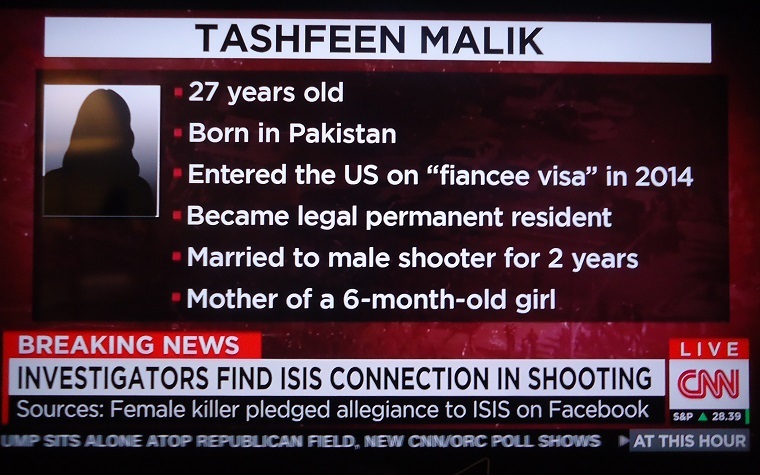 Once again, based on the FBI’s continued hiding of her identity, we can almost conclude that their supposed female suspect, Tafsheen Malik, was not involved in the staged shooting event at Inland Regional Center on Wednesday, but rather, could have been the FBI female handler of male suspect Syed Farook – a very similar scenario to a carbon copy modus operandi seen with Boston Bomber suspect Tamerlan Tsarnaev and his illusive white American, Muslim convert and CIA -linked wife, Katherine Russell. Not surprisingly, not CNN, nor any other mainstream media organization, will ever chase up any of these leads, and after today’s debacle – we should all know why. The question of what police body camera video gets released to the public, and when, is an important one, and has become one of the central areas of dispute surrounding the technology. At issue are two sometimes conflicting values: privacy, and government transparency. Our position (as outlined in our body camera white paper and model policy) is that while most video footage should be kept private—held for a short period in case a complaint is filed, not analyzed or used for any other purpose, and then deleted within six months—some video footage is important for the public to see. We call for video of incidents to be releasable under state open records laws where there has been a use of force, a felony arrest, or a complaint against a police officer. Certainly in the case of a police shooting or other use of deadly force, the public’s interest in understanding how and why an officer took such an extreme measure is overwhelming. Police departments, however, regularly refuse to release video citing their need not to release details of ongoing criminal investigations. Aside from the question of whether police should have exclusive control over videos in the first place, the question needs to be asked: does this general exception to public transparency make sense in the case of body camera or other video footage of police uses of force? But none of these exemptions justify the withholding of video footage of a shooting or other use of force by a police officer. Exemptions to open-records laws for “ongoing investigations” were simply not created with police video of police shootings in mind, and do not make sense applied to such recordings. Yet police departments around the country are using these rules to block or delay release of video not because it would harm investigations, but because it makes them look bad. This is not how things are supposed to work in a democracy. Let’s look at each justification for “active investigation” exemptions and how they apply—or not—to body camera footage. Privacy: One purpose of these exemptions is to protect people from the stigma of being under investigation before the police have even finished assessing whether there is evidence of their involvement in a crime. A police officer who has used deadly force against a citizen has typically already been identified, and has no right to privacy in such circumstances as they are an employee of the public whose actions, ostensibly to protect the interests of that public, merit the highest levels of community scrutiny. The public needs to know if there are problematic officers. That’s why in Albuquerque, we know which officers have shot people three, four times. We have officers who have repeatedly used excessive force against citizens, and that’s the only way to know it, by knowing their names. And that is their job. You’re a police officer doing your public job. In Chicago, where police and city officials fought to keep civilian complaints secret, the resulting lack of sunshine has allowed problematic officers to stay on the job unpunished (as we now know only because of a decade-long legal battle to bring that information to light). When it comes to the privacy interests of the subject or victim of a use of force (or his or her survivors), typically they do not object to release of the video on privacy grounds; in the vast majority of cases under contention they are the ones clamoring for release. I recently wrote about an exception, where a shooting victim’s family sought to block release—but even there the public’s interest in monitoring the police force overcomes the privacy rights of the subject of police use of force. Should a video show bystanders with a legitimate privacy interest, their identity can be obscured through redaction of the video. Furthermore, the reason that police don’t want to release the details of an investigation to the public is that they don’t want one member of the public in particular—the perpetrator—to see that evidence. But in a police shooting, once the involved officer has seen that video, withholding it from the public no longer serves the purpose of keeping it from the person under investigation—now it serves only to prevent the public from seeing it. That’s not a legitimate goal on its own. The right to a fair trial: It is important insofar as possible to protect defendants in criminal trials—whether they are arrestees or police officers—against pre-judgment by the community. Exposure to video evidence can harm not just the defense, but also the prosecution; one former Justice Department official whose job had included prosecuting police officers made the point to me that letting potential jurors in the community view a video before trial will shape and prejudice their impressions of what took place. This is a legitimate concern, but generally does not hold up against the public’s critical need to engage in oversight of how its police are using force. There are also several factors that diminish the force of this consideration. Bystander video has so far been much more common in police shootings than bodycam video, and nothing can stop bystanders from exercising their First Amendment right to post their videos of an incident for the whole community to see. The courts have dealt with public bystander videos and they can deal with public bodycam videos—through the jury selection process for example, or change-of-venue motions that can be filed if the concern is particularly significant. In addition, it’s not clear how differently a video will prejudice a juror who views it on YouTube before joining a jury, compared to how they’ll interpret it when viewed at trial. It is far more important to get untainted initial testimony from witnesses and participants in a use of force case, than shielding the community at large. It used to be when you go to federal court with a claim of abuse, you just needed to make enough of a claim to get past a motion to dismiss. Now the federal standard under a case called Iqbal is that your claim needs to be “plausible.” To demonstrate that, you have to have enough information—you have to have evidence, you have to have a fairly strong claim going into the litigation, and even then you’re going to go up and back within a circuit on the qualified immunity issue before you ever get discovery, before you ever get to see a video or get a deposition. So getting video as a public record, seeing what happened in a shooting for example, is very, very important if you don’t want your lawsuit dismissed before you ever get to see discovery. Overall, in some circumstances there can be sufficient reason to delay the release of certain evidentiary materials due to an active investigation, but when it comes to police body camera videos, the public’s interest in immediate oversight of how police officers use force is overwhelming, and it is hard to imagine circumstances in which the reasons for withholding such videos are not inapplicable or fatally weak—and even in the scenarios I can come up with, redaction would be sufficient. Indeed last week’s release of the Laquan McDonald video followed a ruling by a judge who found that the Chicago police had failed to prove that releasing the video would hurt any ongoing investigation. But where existing state open records laws and jurisprudence do not clearly provide for the immediate release of police body camera video, state legislatures should take action to make clear that ongoing-investigations exceptions to open records laws do not apply to police body camera footage. If unusual situations should arise that we have not unanticipated, in which the harms such laws are intended to prevent would be brought about with sufficient severity to overcome the compelling public interest in disclosure, then withholding should be allowed if the police can establish the likelihood of those harms to a judge under a very high standard—and establish that redaction cannot solve the problem. And the videos should be released at the earliest possible moment that those extraordinary conditions no longer apply. Finally, it’s important to note the significant harm that withholding video of police shootings does to trust and confidence in police and their relations with the community. Such withholding increases the sense of disrespect, and often appears to communities to be another example of police abusing their authority—not without reason, as our analysis here suggests. Police having exclusive control over, and then refusing to release, video of killings, which are disproportionately of Black men, frays even further any semblance of dignity and trust, and brings into sharp relief the use of authority to attempt to avoid accountability. 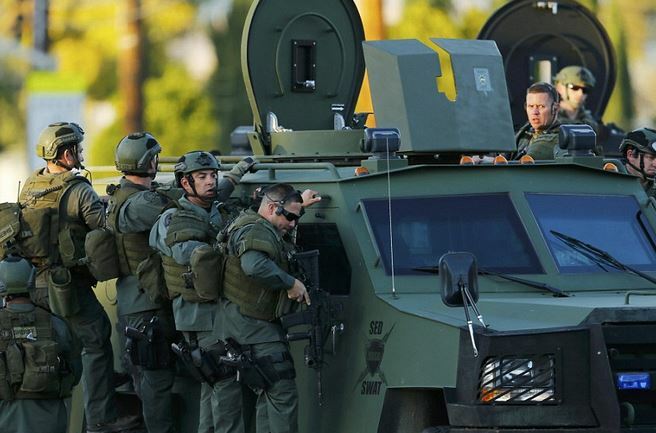 Another Daily Shooter event has taken place in San Bernardino, California. As we go to press, police marksmen appear to have shot-up a black SUV, with one suspect killed, one severely wounded [later pronounced dead] and another escaping on foot according to NBC News live coverage. It’s still unconfirmed whether the SUV passengers are actually the same men who were the original ‘active shooters’ at the original crime scene. Earlier this afternoon at approximately 12pm PT, we’re told that 14 people were reported to have been killed and another 17 have been hospitalized with various injuries, after the 3 shooters are said to have opened fire with ‘long guns’ inside a conference venue, in the Inland Regional Center, a government-run disabled services office complex, located in San Bernardino. Police gave chase to suspects and claim that 3 assailants were masked (therefore could not be ID’d at the scene), heavily armed and possibly wearing body armor. We’re also old that many hours after the mass shooting incident, police miraculously track-down suspects in a black SUV only 1.5 miles from the original crime scene? Hard to believe, isn’t it? The entire police case including its ability to pursue the black SUV with the alleged shooting suspects rests completely on a ‘police tip’ from one witness, a man named Glenn Willwerth, who we’re told owns a printing business, J&S Paper Southern, listed at 435 E Parkcenter Circle, San Bernardino, CA 92408 (oddly, this business has no website, only a Facebook page created on Sept 17, 2015), situated across the street from the Inland Regional Center. Willwerth said he saw the alleged shooters fleeing the initial scene in a black SUV, which police claim to have then followed back to the suspects’ residence before, incredibly, the suspects then headed back to the original scene of the crime many hours later. 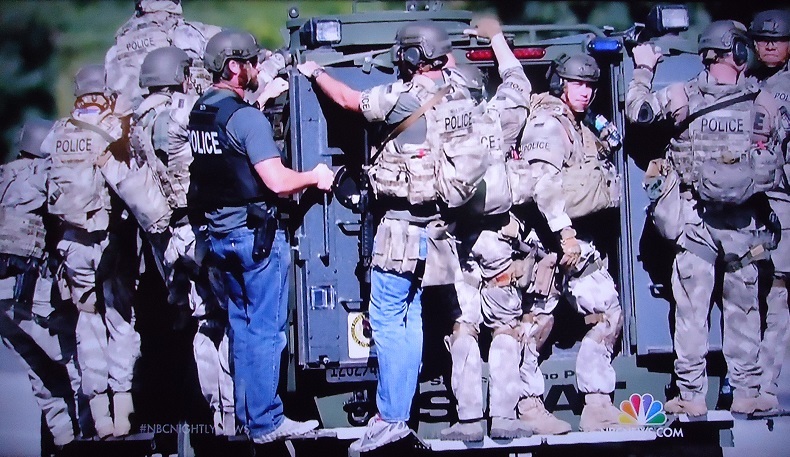 Following the take-down of the black SUV vehicle, tactical paramilitary police units escorting ATF and FBI agents then began performing armed, “door to door” searches of all homes in the vicinity of the SUV shooting scene. Even as the suspects were being pursued, President Barack Obama took to CBS News in order to lay out his case for gun control in America. Normally the present wait until after the event has settled before inserting himself in the conversation, but today he broke that tradition – even though none of the facts were in at that time. It’s as if the President already knew what the final narrative would be. Remember the Paris attack, with the teams of expendable “martyrs”, and the three white mercenaries, the “non-expendables“, who drove up in a Mercedes, did their shooting, and then disappeared, never to be heard from, or spoken of, again, while the Muslim world of France continues to be torn apart looking for ‘terrorists’. Then there was the Saint-Denis engagement, an explosion, and dead Muslims/witnesses. Eventually, there is an engagement on the highway, a shootout, and dead Muslims/witnesses. “A spokesman for the Bureau of Alcohol, Tobacco, Firearms and Explosives said the suspects threw a thick-gauge copper pipe out of the SUV, but no explosives were found inside. The fake pipe bomb was equipped with a piece of material made to look like a wick.” With an apartment allegedly full of real bombs – an apartment the authorities are allowing the press to rummage through – why would you throw a faked one? “Baccari says the reserved Farook showed no signs of unusual behavior, although he grew out his beard several months ago. He said he had been sitting at the same table as Farook at the party on Wednesday morning, but his co-worker suddenly disappeared, leaving his coat behind.” As if he knew when to leave. A comment by ‘Clouds are nice’: “Good job they caught them or everyone would still be looking for the three white men wearing balaclavas.” Ha! “Correlations on Facebook Probably Key to ISIS Claim in San Bernardino” “Female San Bernardino Shooter “Pledged Allegiance” to ISIS on Facebook” A rather half-assed creation of the ‘legend’, with seemingly no other evidence of political inclination, and absurdly easy for anybody to fake. 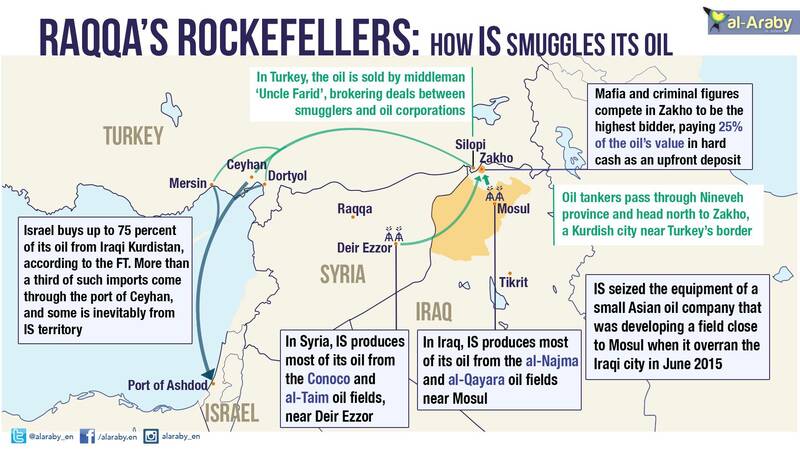 Is this another ‘hybrid’ ‘terrorist’ attack like Paris, where elements of ISIS and French intelligence worked hand in hand like the brothers they are, or is this some kind of patsy situation? Baltimore, MD – When reporting on the case of police brutality victim Freddie Gray, the man that was killed by police in Baltimore earlier this year, a CNN writer described Gray as “the son of an illiterate heroin addict.” The article quickly drew backlash and CNN attempted to edit the article, but it was too late, screenshots of the article had already gone viral. CNN president Jeff Zucker later said that it was simply a mistake and insisted that there was no intent to slander the dead victim Freddie Gray. “This was a mistake, the digital team removed it last night and inserted an editor’s note to be completely transparent. The editorial intent as the digital team has laid it out to me was to make clear he had a difficult upbringing. But clearly it did not come across that way when it was written and published. We recognize that. It did not work and we removed it. And were transparent about that. That was a mistake,” Zucker said. Zucker said that the comments were taken “out of context,” however, the context was clear, they were attempting to assassinate the character of a dead man with accusations that were not even relevant to the case. This type of smear campaign is typical for victims of police violence, which is one big part of the reason why people in America are so confused about the police. When the victim is demonized, it allows the police to maintain the moral high ground and it absolves them of their crimes in the eyes of the public. According to police, Gray was first stopped and arrested by officers at 8:39 am on April 12, and was thrown in the back of a police van 15 minutes later. An entire hour later an ambulance was called to give him medical care, but he sadly fell into a coma died soon after. He suffered broken vertebra and an injured voice box, which required emergency spinal surgery that he never recovered from. Grays death resulted in the protests and riots that took place in Baltimore earlier this year. The police officers involved in his death are now standing trial for their crimes. Climate science for the layman as Professor of Physics at Princeton University makes it simple.